The Brady bunch was on hand once again to celebrate Tom Brady and the New England Patriots’ victory on Sunday over the Los Angeles Rams. 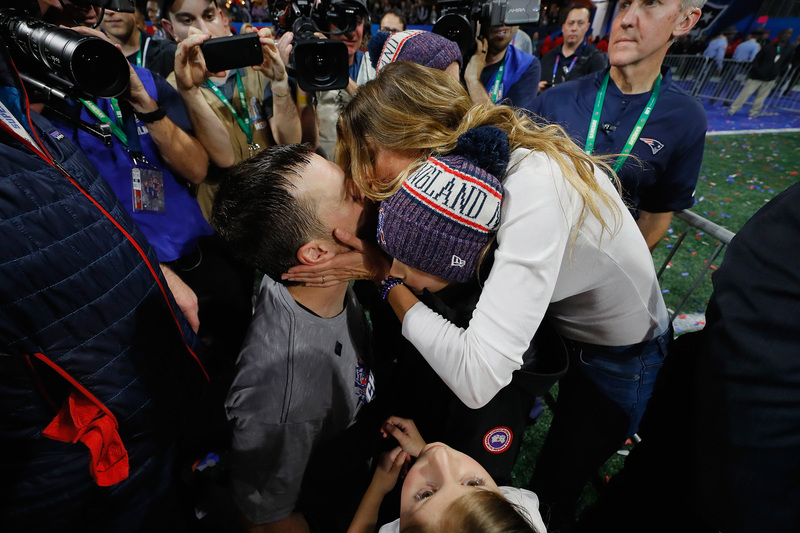 Like previous years with Brady’s Super Bowl wins—his sixth on Sunday, February 3—Gisele Bündchen excitedly joined her husband on field to revel in the moment. The superstar couple was photographed and captured by onlookers exchanging a passionate smooch while Brady carried their daughter Vivian. The couple’s other children—son Benjamin and Brady’s son John (whom he shares with Bridget Moynahan)—were also present to cheer on their dad inside the Mercedes-Benz Stadium in Atlanta. Prior to America’s biggest sporting event of the year, Bündchen posted a loved-up photo with her husband on the field. “I got your back!” she captioned the snapshot. What a special night. Congratulations Patriots! Congratulations my love! 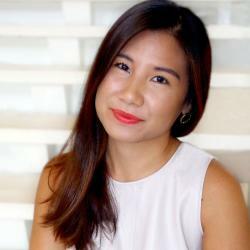 Your tireless commitment, discipline and hard work never seizes to amaze me. We love you! Photo: Kevin C. Cox 👏🏻✨❤️🙏 Que noite especial. Parabéns Patriots! Parabéns meu amor! Seu comprometimento incansável, disciplina e trabalho duro sempre me surpreendem. Nós te amamos! 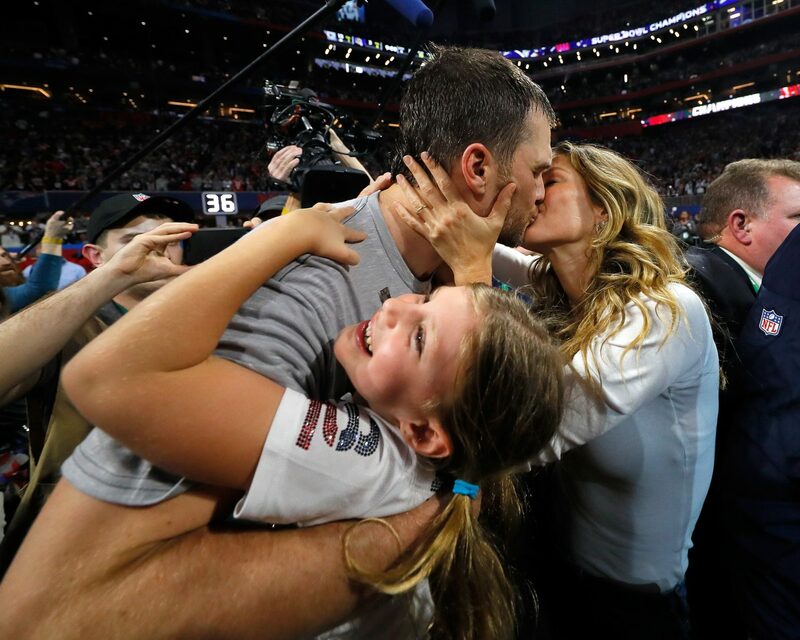 Be the first to comment on "Gisele Bündchen and Tom Brady Share a Big Kiss After 2019 Super Bowl Win"